2. If participants want to stay in Bangkok, please stay at Asia Hotel, Bangkok because the ThaiSim van will pick you up here only at 7:45 every day during 9-13 July 2018. 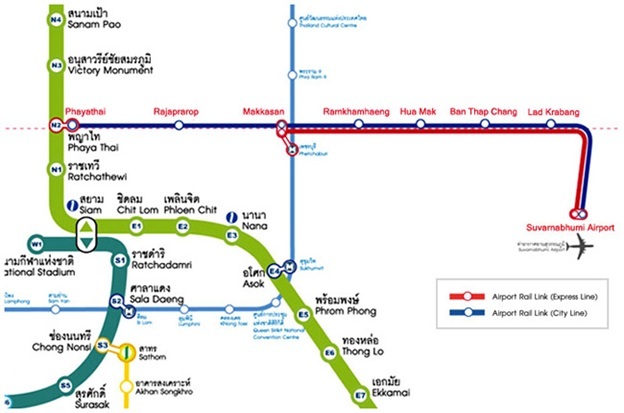 Guide to go to Asia Hotel, Bangkok: From Suvarnabhumi Airport, ride Airport Link to Phaya Thai Station, and then, connect Skytrain to Ratchathewi Station. Get off and walk to the hotel. The ThaiSim shuttle van will depart from Asia Hotel at 7:45AM to Faculty of Liberal Arts, Mahidol University, Salaya, Nakornpathom during 9-13 July 2018, every day. The shuttle van will depart from Faculty of Liberal Arts, Mahidol University, Salaya, Nakornpathom at 17:45 to Asia Hotel, during 9-13 July 2018, every day.